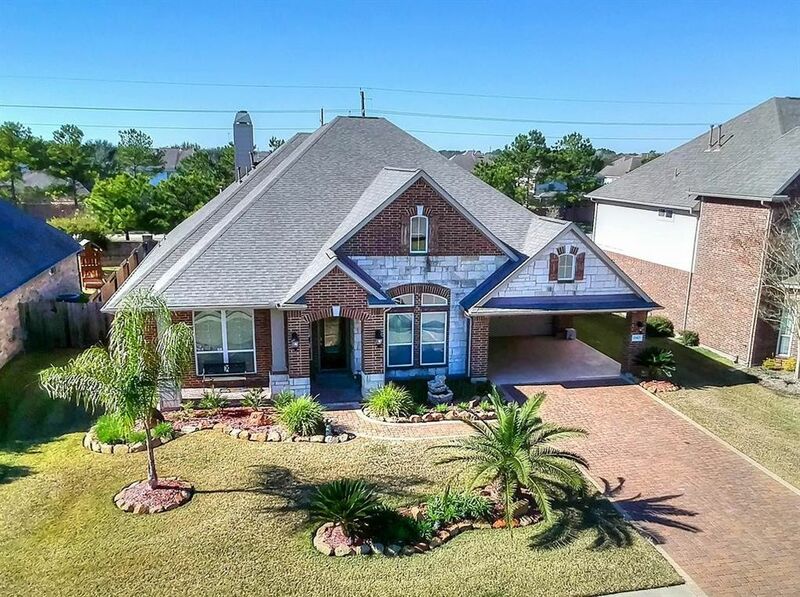 This stunning 4 bed 3 bath home is a spectacular find! Upon entry you are greeted by both an executive study & an elegant formal dining room with direct access to a butler's pantry & the kitchen, making it perfect for entertaining! After passing through the tiled front entryway you come to a beautiful family room featuring tile flooring, a cozy fireplace & a wall of windows that shower the space in natural sunlight! Whipping up your favorite recipes is a real treat in the gorgeous kitchen equipped with granite countertops, tile floors/backsplash, a walk-in pantry & lovely cabinets that provide unmatched storage space! In the evenings, withdraw to the spacious master suite complete with double crown molding, a vaulted ceiling & a luxurious bathroom showcasing double vanities, tile floors, a walk-in closet, a whirlpool soaking tub & a tiled walk-in shower! The home also has a backyard with a huge covered patio & plenty of green space for your favorite outdoor activities! Don't miss out! Directions: From U.S. 290, Take exit toward Spring - Cypress Rd/Cypress Rosehill Rd/Fry Rd, Merge on 290 Frontage, right on Cypress Rosehill Rd, right on Neutral Bay Dr, At the traffic circle, take the 2nd exit on Opera House Row Dr, Home will be on the left.